Please use this form to submit your advertisement. Advertising rates are shown below this form. Please see specifications above. Image size should be no larger than 100 mb. Please provide start date and expiry date. If you would like a text advertisement rather than an image, please type your text in the box together with any specific requirements. I agree to the terms and conditions as outlined on this site. Business Sponsor – Sponsor a page and get a free advert/logo on the page you sponsor plus you will be able to post all your job vacancies on our Jobs page free of charge. £250 for six months. Pages to sponsor include News, Living, Opinions, Culture, Sport, What’s On, Jobs, Accommodation, Weddings or Eating Out. Directory listings on Visitor Rye pages: Eating Out, Weddings, Accommodation are offered at £50 for 6 months. Just send us your text, image, web address and we will prepare for you. 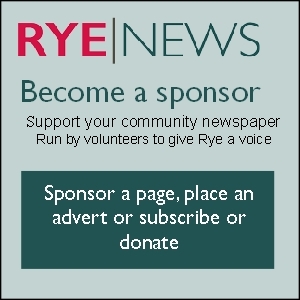 If you would like a bespoke advert on a specific page and location please email info@ryenews.org.uk. Use the Submit Advert form to send us your advert or email info@ryenews.org.uk We will post it for you approval and then send an invoice which are issued quarterly in advance. Please use the Submit Advert form to place an advert in Rye News. Select the size required and send your image in jpeg format. If you would like help with artwork, we can pass the work to a local designer for a fee of £25. Text ads are also available. Email us for details.